At present, dry weather is prevailing over most parts of South India, except for a few pockets of Andhra Pradesh coast. Here, due to the moisture incursion and trough (over Andhra Pradesh coast), a few places have received light rains. Kakinada alone has received 14.2 mm of rain in the last 24 hours from 8:30 am on Sunday. 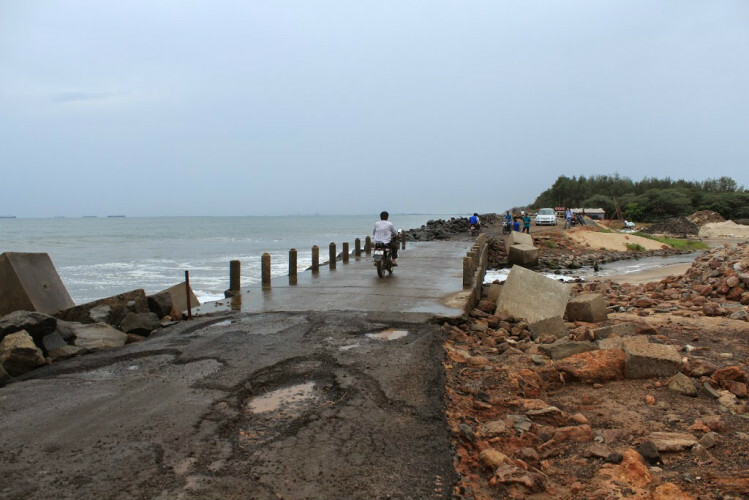 The activity is expected to continue mainly over Andhra Pradesh coast. During the next 24 to 48 hours rain and thundershower activities are likely over major places like Kalingapatnam, Visakhapatnam and Kakinada. Apart from these systems, a wind discontinuity can be marked over South Kerala and adjoining Arabian Sea which may cause light rain and thundershower activities over South Kerala, adjoining Tamil Nadu and South Karnataka region. Temperatures are likely to rise over Tamil Nadu, Rayalaseema, Karnataka and Kerala region. Presently, day temperatures over most places are above normal. This further rise in temperature may lead to heat-wave conditions over a few places, like that of Tirupati, Kozhikode, Kannur, Salem, Tiruchirappalli and Madurai. Warm and humid weather will prevail over the Chennai region as well.